More than 80 years ago, someone adopted the trademark Turkey Joints® for candy. I’d never heard of such candy, but now I am eager to try it. Brazil nuts, milk chocolate, chocolate liquor, vanilla, and sugar. What could be better? 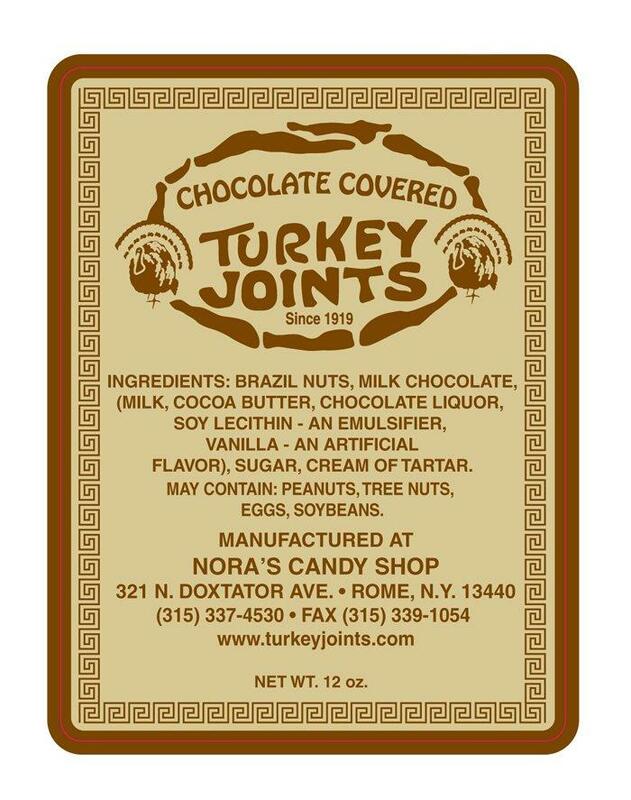 Well, in 2012 they introduced Chocolate Covered Turkey Joints®. Just got to get me some. There are a lot of TM’s on this label. Taste the Similarities!® and Tastes Like Turkey® both seem to be optimistic. Improved Nature® seems, well, debatable. I’ve tasted turkey from nature. 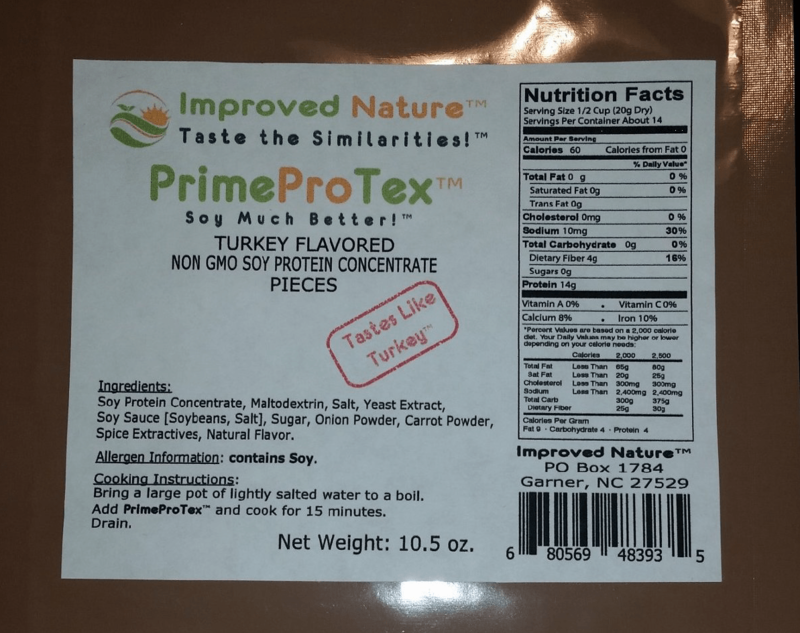 Soy Much Better!® is just cheesy, and I do not understand PrimeProTex®. I think that Dixie USA’s trademark for its soy based meat substitute is snappier, and it is more direct: Turkey (NOT!)®. There are two more that I like in this space: Tofurky® and Unturkey™. But let’s move on. Some folks think that the magic happens while the bird is cooking and there are some interesting products to make it easier. You might not even know that you need these things to cook a turkey properly. You’ve got your Turkey Cannon® cylindrical holder for supporting a fowl in a roasting pan. And don’t get caught in the kitchen at Thanksgiving without your Turkey Tuckers™ elastic poultry fasteners. Turkey Bath® brines and marinades will make that bird delicious. And how can you roast a turkey with an oven that doesn’t have a Perfect Turkey® turkey cooking function – with single button activation? Deep fried turkeys just taste better when they’re fried in a Turkey Jerker™ deep frying cooking kit. Last, but not least, there’s the Turkey Gooser™ “hot roast handling device, namely, a roast insertion tool for lifting therefore.” Sounds painful. Yes! Turducken® is a registered trademark for, duh, a combination turkey, duck, and chicken entrée. When it comes to meat blends, consider Churkey® (chicken and turkey) and Porkey™ (registered for, simply, “meat”). But the meat combination trademark that intrigued me the most was: “World-Class Turkey Meets World-Class Bacon®.” What could go wrong when turkey bumps into bacon? And, to wrap it up, let’s remember the cats and dogs. You’ve got your Quirky Turkey® pet food and your Roasted Turkey and Sweet Potato Feast® pet food. 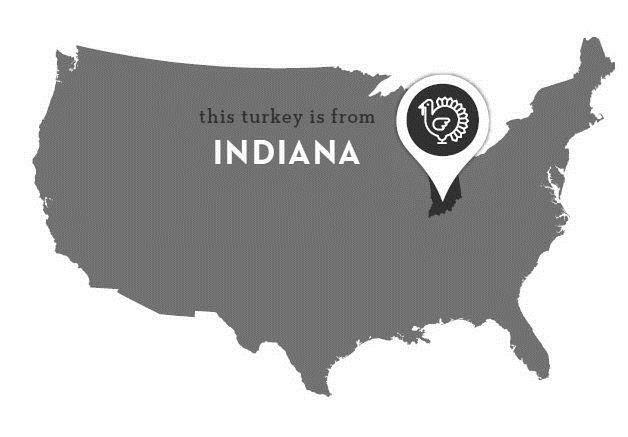 And Spot Farms made big news when it recently introduced pet treats under the trademark This Turkey Is From Indiana®. ← Trump By A Landslide!